Cruise ship passengers face a unique challenge among all visitors to Hawaii: They see much of the beautiful coastlines but get to spend precious little time on the Hawaiian islands. How would you choose from the many unique things to do on-shore with so little time? 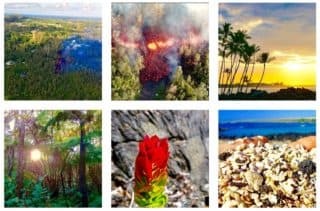 This itinerary is written for those people that want to explore the Big Island independently instead of with the pre-arranged cruise excursions. We want to help you experience as much of the Big Island as possible. 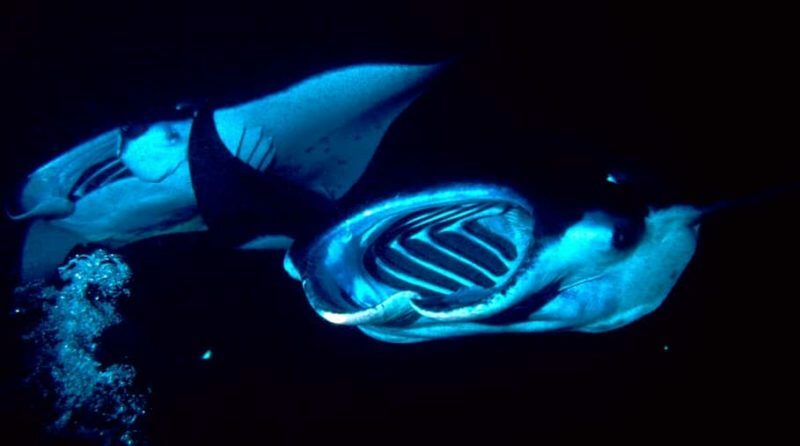 Regardless of your choices *on* the Big Island, you should know the following: Winter is not only the most popular time to visit Hawaii for humans, but also for whales! When visiting in the months between the months November and May, get ready for onboard whale watching! 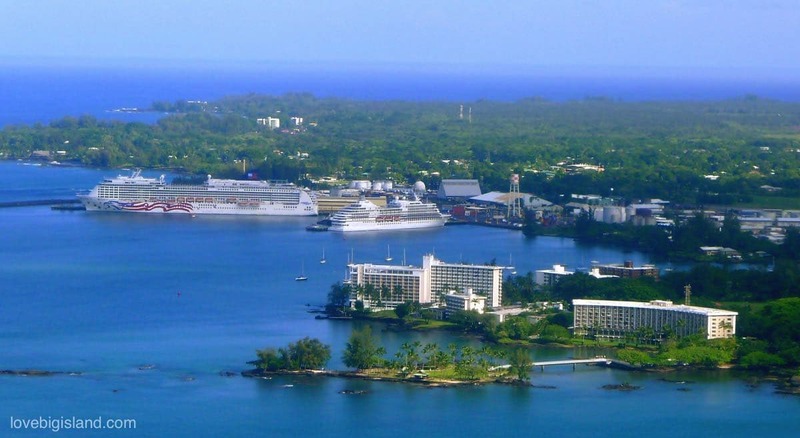 Cruise ships often make consecutive stops on the Big Island: One in Hilo and one in Kona. Depending on how adventurous you are you should consider spending the night on the Big Island and rejoining the cruise in the next port. If you are passionate about stargazing and have lots of energy, you might consider visiting the famous telescopes on the summit of Maunakea for sunset and stargazing before settling in at Volcano Village. Make sure the crew knows you won’t be spending the night on the ship. Rent a car that you can pick up in your first port and then drop off in the second port. Depending on the specifics of your cruise, the regulations on board and the willingness of the crew, step 1 (above) could be a deal breaker. There are many conflicting reports about the possibilities of an overnight stay. The unifying theme of these is that with some research and preparation it should be possible to pull off. Basically, you have to inform the ship you will be “missing” the ship when it leaves port later that day, and that you will be joining it at the other port on the Big Island. There might be a fine associated with this. Mandatory reading for everyone planning to spend a night onshore is the “Somewhat definitive guide to skipping a port on the POA” on the cruisecritic website. If your second day (boarding) is in Kona, you should keep in mind that some car rental companies are located at the Kona Airport. Note also that if Kona is your second port there is the possibility waters are too rough to tender. If this is the case you will have to book an inter-island flight to your next port in Hawaii. Most importantly: check with your cruise company to see if it is possible to rejoin the cruise in a different port before actually doing it. A rental car is by far the most efficient way to explore the Big Island. Below you can find information on getting from the cruise ship to the rental car agency for both Hilo and Kona. Also see our guide to renting a car on the Big Island. Hilo: The rental car agencies are at the Hilo Airport, a 10-minute drive from the harbor. Shuttle buses will be waiting at the harbor to bring you to the airport. Thrifty, Dollar, and Hertz, all have an office in the King Kamehameha hotel, a few 100 yards walking from your landing spot in Kona at the Kailua pier. The other rental car agencies are at the Kona Airport. Driving to and from the airport takes ~20 minutes without traffic. During early morning and afternoon rush hour it can take far longer. Few, if any, shuttles are available for transport to and from the airport, and taxis can be expensive. Please consider renting your car at one of the agencies at the King Kamehameha hotel. By almost every conceivable metric, the Hawaii Volcanoes National Park should be your top priority during your ‘Hilo day’. 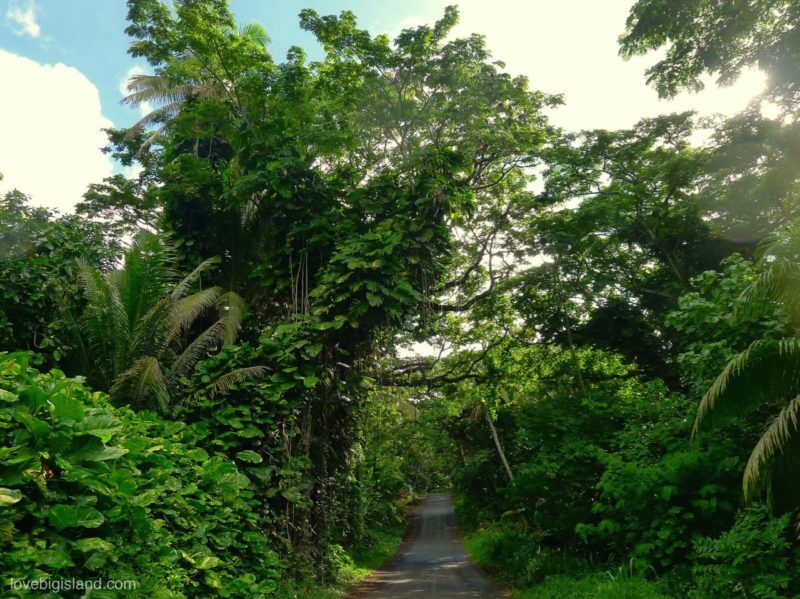 However, there are more ways to enjoy the tropical and lush side of the Big Island. Each of these is in a different area, and you are making the best of your stay by picking just one. Driving distances between the categories take away valuable time. 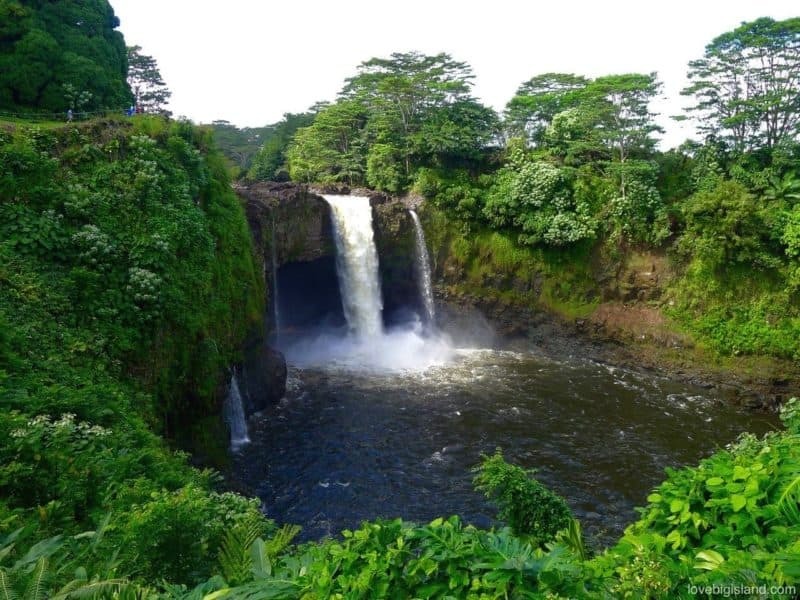 Four out of our five favorite waterfalls on the Big Island are located in or just north of Hilo. You can combine a few of these with the Onomea scenic drive. Driving further north takes you to the scenic Hamakua coast and ultimately to the dramatic cliffs of Waipi’o valley. Whether or not the lava flow is active (visible), a visit the Hawaii Volcanoes National Park is a must. You can easily spend a full day in the park, so pick up your rental car and drive up the volcano! 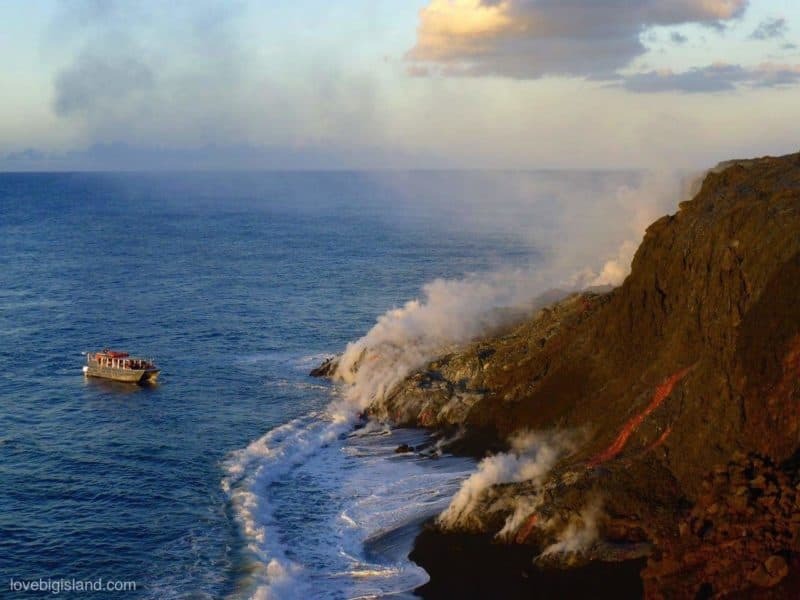 If lava is flowing and entering the ocean, you need to make a tough choice. When the flow is accessible from within the park you can combine this with your visit to the Hawaii Volcanoes National Park. If it isn’t, you may have to choose between the two. Of course, this problem disappears if you manage to spend one night on the Big Island. If you do, please consider spending it in Volcano Village, on the doorstep of the Hawaii Volcanoes National Park. Because your time is precious you may want to consider splurging on a helicopter tour to see the lava. These tours take a few hours and can show you a combination of highlights, such as lava and waterfalls. The Puna district is famous for its scenic roads and volcanically heated hot ponds. The stark contrasts between the tropical green, the deep black from the lava, and the deep blue from the ocean make this part of the island home to our all-time favorite scenic drive. You can combine your road trip with a visit to one of the black sand beaches in Hilo, or with a hike to the lava. The harbor at Kona is not suited for cruise ships. This means that you need to take a tender to the Kailua Pier in downtown Kona get to shore. When planning your activities keep in mind that tendering typically takes between 30 and 90 minutes. You can probably fit more than one of the activities below in one day. For example, a beach and a snorkel road trip form an excellent combination, and a helicopter tour only takes half a day. The harbor at Kona is not suited for cruise ships. This means that you need to take a tender to the Kailua Pier in downtown Kona get to shore. All the beaches in Hawaii are free and open to the public. The many beaches on the Kona side are white sand beaches. 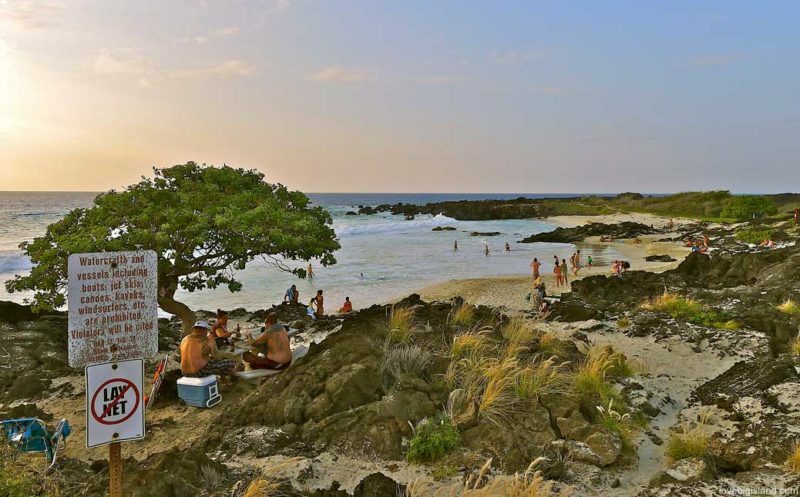 Some of our favorite beaches are Kua Bay, Hapuna Beach, and Waialea Bay. Pick up some food and set off in your rental car for a mini road trip to the beaches in north or south Kona. Map with all Big Island beaches. The Kona coast has the best places on the Big Island to go snorkeling. All 3 of our favorite snorkeling spots are south of Kona, at less than a 1-hour drive from central Kona. By the way, there is also OK snorkeling at the Kailua Pier, your landing spot in Kona. Furthermore, you can find Hawaiian history and culture in the Pu’uhonua O Honaunau National Park. This park, also known as the City of Refuge, is steps away from one of the snorkeling spots. If you didn’t bring your own snorkeling gear on the cruise, it’s easy to rent some in Kona. For more snorkeling beaches, see our list of all snorkeling spots close to Kona. 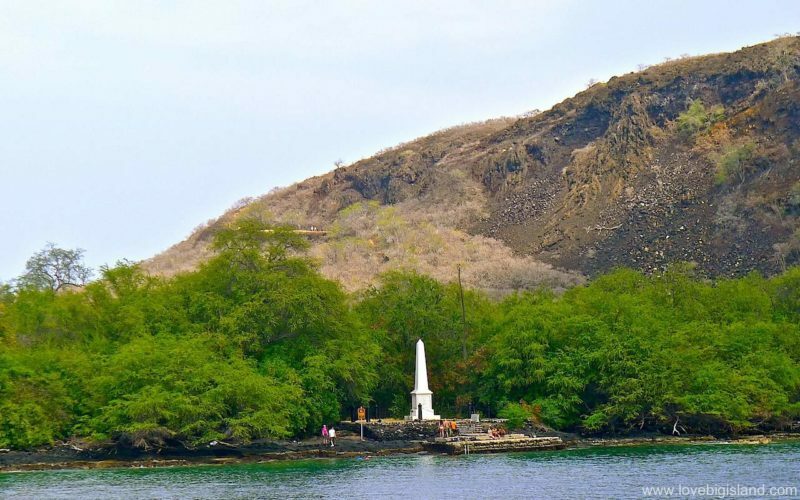 The best snorkeling in Kealakekua bay is around the Captain Cook monument, but getting there is difficult. The easiest option is to book a snorkeling cruise. Lush and tropical south Kona is also known as coffee country after the many coffee farms one can find up-slope of the volcanoes. This part of the Big Island is where the world-famous Kona Coffee comes from. 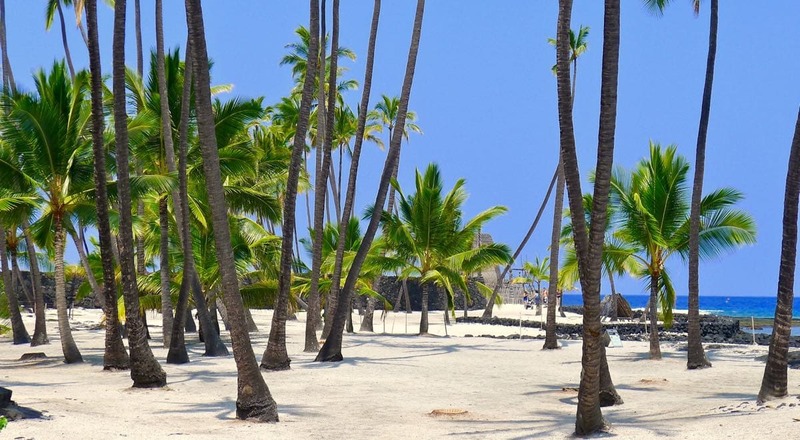 A visit to a Kona Coffee farm is very easy to combine with a visit to for example the Pu’uhonua O Honaunau National Park, as well as with snorkeling at the fantastic Honaunua snorkeling spot. The best thing about this combination? It can all be combined within one of our favorite scenic drives! Most helicopter tours taken from Kona are more expensive than those from Hilo because the main attractions are further away. However, a helicopter tour is still one of the most efficient and memorable ways to see the Big Island. Helicopter tours can combine many activities into one. For example seeing waterfalls, visiting the lava, crossing the impressive cliffs of the Kohala volcano, or going ziplining. Read more about booking a helicopter tour. This activity is only possible if you spend the night on shore. 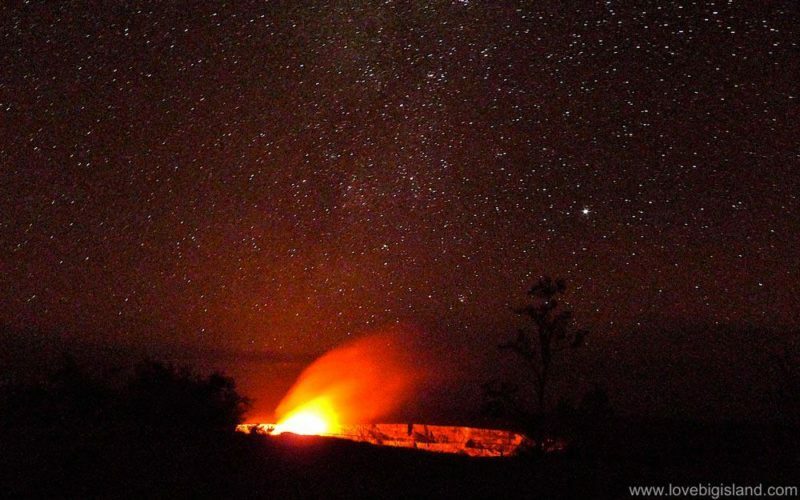 It is also very difficult (exhausting) to combine it with seeing the lava glow at night. (the other “unmissable” overnight activity). Stormy weather and/or rough water conditions can cause the dive to be canceled. Given that you only have one night this is a valid concern. Our expertise is the Big Island of Hawaii, and this itinerary is meant to guide people that visit either Hilo or Kona with a cruise ship through the possible activities on the island. 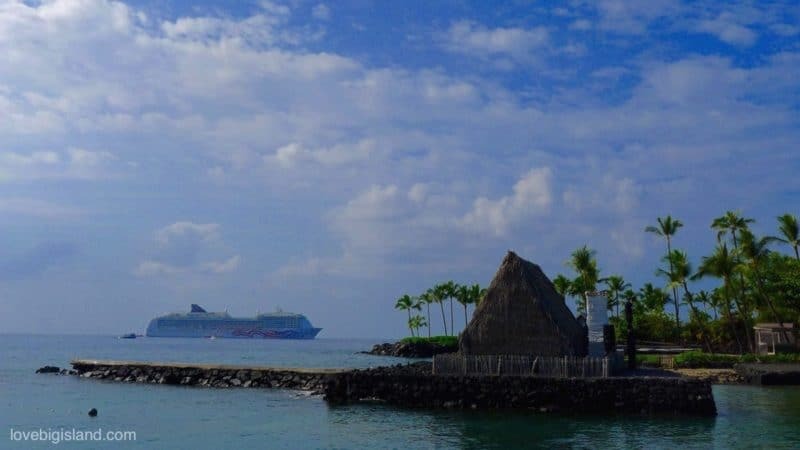 If you have more specific cruise-related questions on visiting the Big Island while on a cruise, you should have a look at the Hawai’i section (all islands) message board forums of the cruise critic website. Cruise ships dock close to Hilo on the big Island. In the foreground you can see coconut island. Kawaihae is a small harbor on the Kohala coast on the Big Island. The ship “Safari Explorer” [website] stops at this harbor 7 times in 2017.